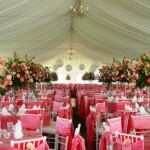 Most wedding themes are color-coordinated these days, and yes, they make the celebration way livelier than usual. Some weddings come in pink, purple, yellow and even red. But what if you are looking forward to have a blue wedding? Blue weddings are not as frequent as other colored weddings, and one reason behind this is that blue is a male shade. Despite having softer and more girly variants, blue still has this strong appeal, which can be too much for some brides. However, there are actually ways to make blue a feminine theme for weddings; you may want to use this color to make your own wedding not only beautiful but also memorable. If you want to use blue for your wedding theme, you may begin by picking a shade that suits you and your partner best. Blue is actually a good color if you’re looking to be more daring and provocative, as it allows you to step out of the box. A shade that compliments both your personalities helps a lot in making the color comfortable to wear as this will reflect on the way you carry it during the celebration. Blue is also a good backdrop for the wedding motif, and if you just want to add a pop of color in your venue, then you can use it for the curtains, table runners, and carpets. It would be better if you use two to three varying shades of blue in your backdrop decorations, so that you won’t get tired of looking the color throughout the day. If you’re going to use blue for your wedding invitations, it would be better to use a dark shade for the outer cover, and pair it with white for the invitation itself. This kind of color combination will make the invitation look more appealing as it promotes both tradition and style. Another place to promote blue as your wedding theme is in the wedding favors. Your souvenirs may come with a touch of blue, or take form in items that are usually applied with the blue shade. You can also use blue for the outfits of the bride and groom and their entourage. However, you should be careful with picking the colors, as the shade must fit those who are going to wear it. The bride who wants to stick to tradition may wear a white gown with blue embellishments, while the groom may go for a blue suit instead. Meanwhile, the entourage may settle with rather subtle shades of blue so that they will be able to carry the color well during the celebration. Pairing blue with other colors can help the shade look softer and more comfortable to wear. Among the best shades are white, yellow, and green. Green shades are ideal with lighter blue hues and are great for beach weddings. White and blue go together for formal and elegant themes, while blue and yellow work best for quirky and playful motifs. 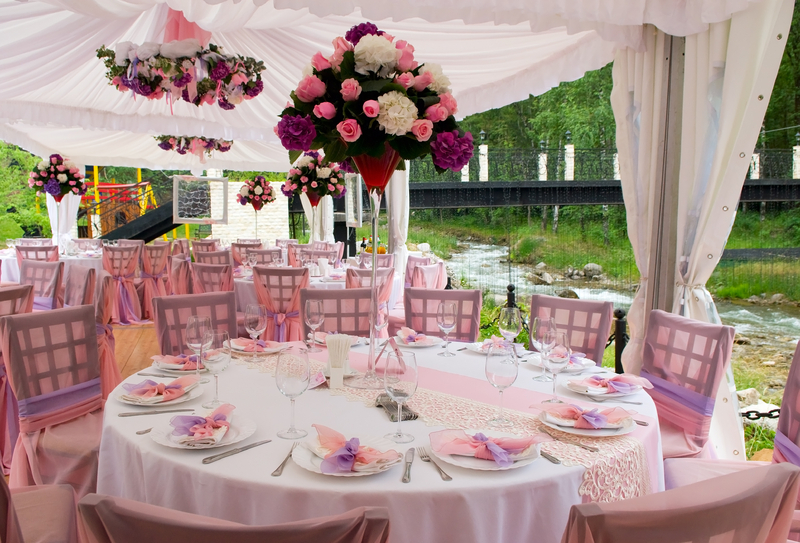 Complimentary colors may be used in the flowers, smaller decors and other details to be used on the wedding. Jessica used gift bags bought from http://www.retailpackaging.com for her wedding guests, she had her beautiful wedding in the summer of last year.